Comes with 14mm CCW M4 type Metal Flash Hider. Metal short type barrel with Nylon Fiber Hand guard. Comes with metal body frame with laser marking. Comes with a Realistic Galil style bolt plate. Comes with fixed front sight and rear sight with flip-up night sights. 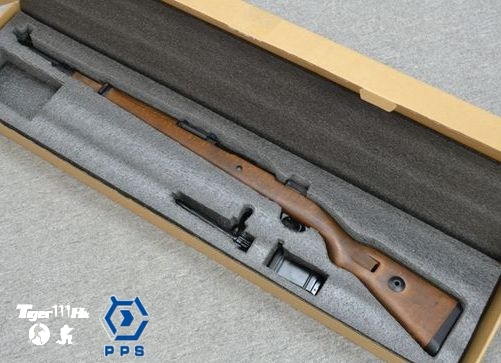 Realistic outlook for the 1942's 98K rifle. Comes with Metal Muzzle with adjustable front ring sight. Comes with Metal dummy cleaning rod. Comes with Real Wood body frame. Comes with Metal Adjustable Rear Sight with Full marking. Full metal medium length outer barrel with normal type handguard. Metal body frame with full metal RAS system. Full metal EBR type Rear Stock with 4 position retratable. Ready to go for 380 – 400 FPS (0.2g BB) without modification. Included a 40 rounds Metal Long Magazine.